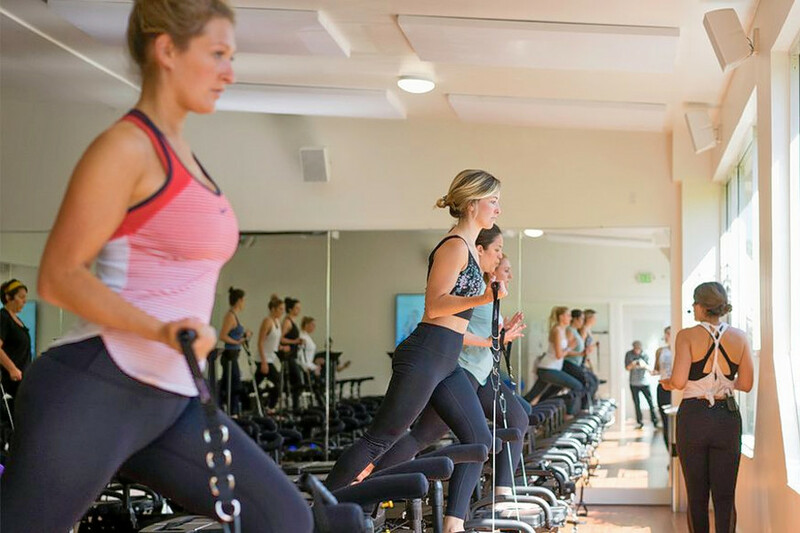 Looking to ring in the new year with a new place to get fit in San Francisco? You're in luck: we've found a lineup of recently opened gyms and training spots to build strength and cardiovascular health. From boxing to Lagree, here are some new exercise options to exercise around town. 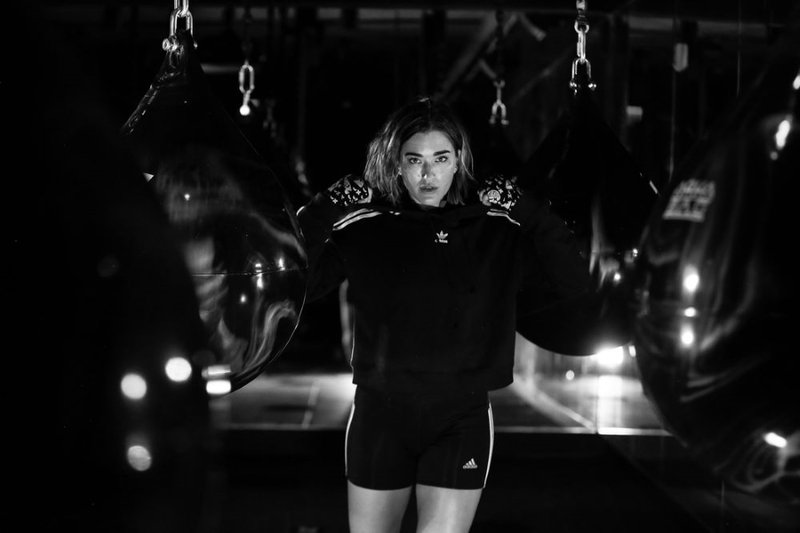 Rumble Boxing is a gym specializing in boxing-inspired group fitness classes. 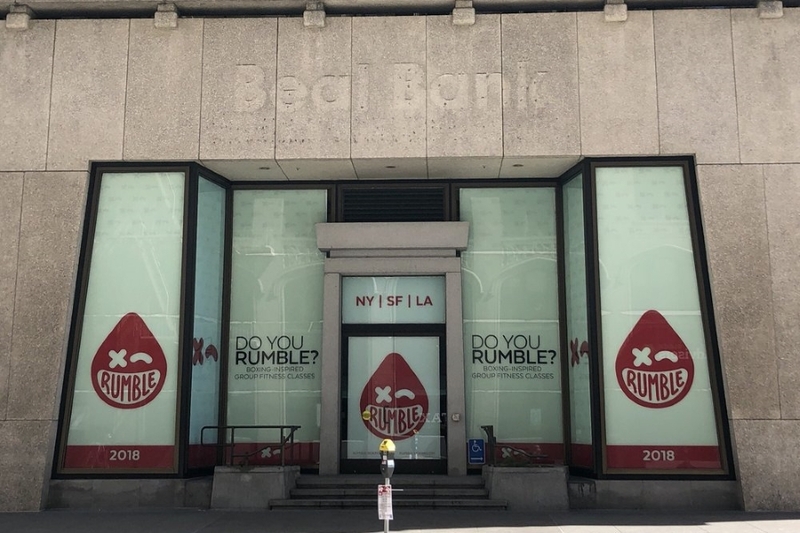 Its new location at 180 Sansome St., Suite 100 in the Financial District is the first in San Francisco for the New York-based outfit. With a five-star Yelp rating out of nine reviews, Rumble Boxing has been getting glowing praise thus far. "Maybe it was the dimly lit room and upbeat hip-hop music, but this was one of the most fun workouts I've ever done," wrote Yelper Micaela H. on December 20. "Julia was such a good coach, getting the energy pumping on a Thursday morning and encouraging people to push through it." "The format of the class is very self-explanatory, and the numbered stations really help," Yelper Melody M. noted. "I loved the workout itself, but it did get really hot in the studio, to the point where I was wondering whether any air was flowing." Rumble Boxing is open from 5:30 a.m.-10 p.m. on Monday and Wednesday, 4:30 a.m.-10 a.m. on Tuesday, 4:30 a.m.-9 p.m. on Thursday, 5:30 a.m.-8 p.m. on Friday, 7 a.m.-6:30 p.m. on Saturday, and 8 a.m.-6:30 p.m. on Sunday. Lagree Fit 415 is a gym specializing in the Pilates-like Lagree method, incorporating Megaformer fitness machines. Its new location at 112 Channel St. in Mission Bay has 13 machines. Each class is 40 minutes long, offering a full-body workout with "low impact but high intensity." Be sure to bring along a pair of sticky socks, as they're required for all participants. You can see the full schedule and class pricing information here. The new studio currently holds five stars out of four reviews on Yelp, indicating a positive response thus far. Yelper Truc N., who reviewed Lagree Fit 415 on October 21, wrote, "This new studio is clean, spacious, and well maintained. ... Format-wise, the workout follows the traditional Lagree method. Blocks of exercises targeting one side, emphasis on going slow, you'll really feel the burn." And Samantha C. noted, "I took a class after work yesterday with Jennie and she was truly one of the best instructors I've encountered in both Pilates and Lagree. Everything just flows so naturally with her direction, and she's so friendly and sweet." Lagree Fit 415 is open from 6:30 a.m.-1 p.m. and 5:30 p.m.-7:30 p.m. on Monday, Tuesday, and Thursday, 7:30 a.m.-1 p.m. and 5:30 p.m.-7:30 p.m. on Wednesday, 6:30 a.m.-1 p.m. on Friday, and 8:30 a.m.-noon on weekends. Core40 is a local chain of gyms focused on group fitness classes that incorporate cycling as well as Lagree methods. Its new location at 1902 Lombard St. in the Marina is its seventh. 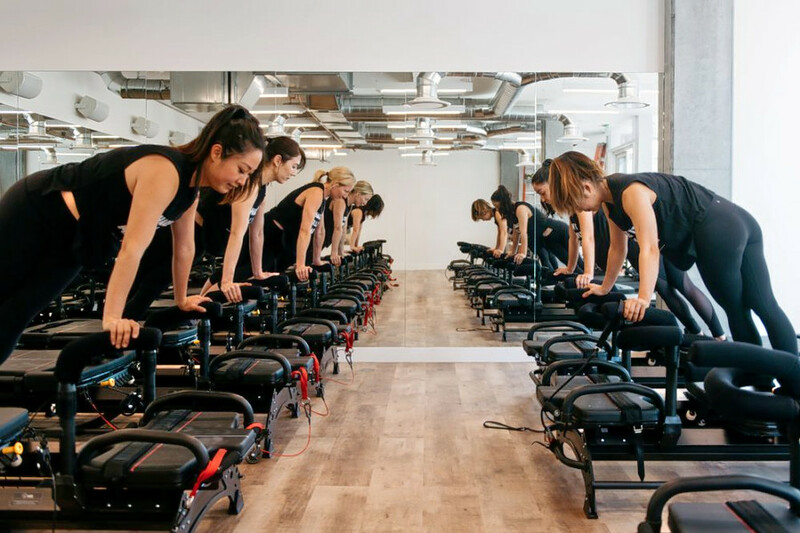 Core40's 40-minute Full Body classes combine slow movements, resistance training, spring-resisted tension and a moving platform on the Lagree Megaformer machines. Other choices include the cycling-only CoreCycle, the combination Lagree and cycling CoreCombo, and the high-intensity Core40 Ramped. You can see the full schedule and book classes here. Yelp users are feeling positive about the new gym thus far, with five stars out of three reviews on the site. "There are many many machines, so finding a spot for class isn't an issue (so far at least)," Yelper Michele L. enthused. "In the wee morning, parking is plentiful on Lombard Street and the side streets; just watch out for street cleaning signs." "The studio is very spacious and clean, with tree-lined windows, which you never would have guessed since it's above a bank on Lombard Street," Morgan J. noted. "This workout is tough!" Core40 is open from 6 a.m.-10 a.m. and 4:30 p.m.-8 p.m. on weekdays, 7:30 a.m.-noon on Saturday, and 8:30 a.m.-noon and 4:30 p.m.-6:15 p.m. on Sunday.